Hello! It’s been a while haha. Sorry I lost interest making delta sprites because I know that my works won’t be ingame … but it’s fine now. 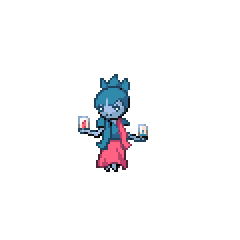 This is just a “rework” for my existing delta sprites, the budew line. The design of this delta is really cool! 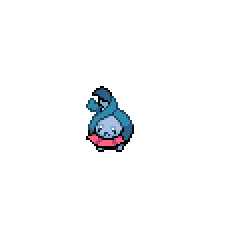 This is a good example of a Delta Pokemon, even if it’s a rework. what engine do you use to make Deltas? I use Microsoft Paint… the other softwares are too complex for me. 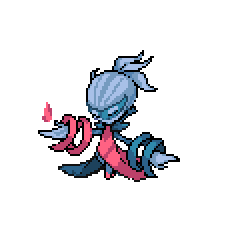 Out of curiosity, why has the typing changed at the last of its evolution line, from ghost/fairy to psychic/fairy?